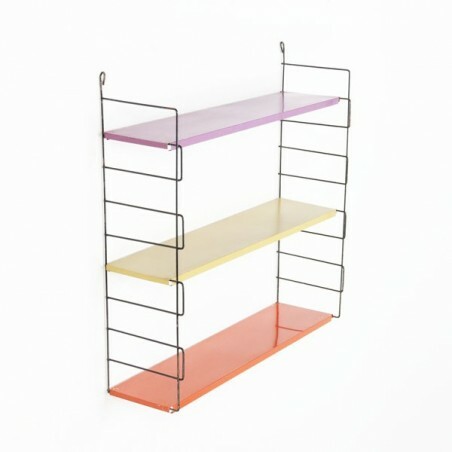 Vintage wall rack / bookshelves from the early seventies. 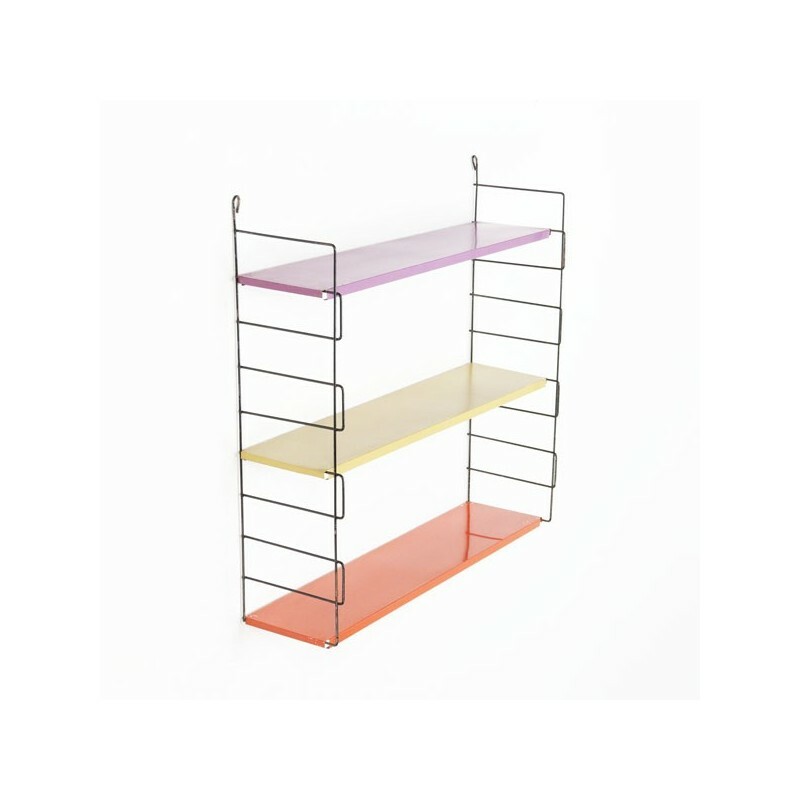 The rack consists of 3 metal shelves in the colors orange, yellow and pink and 2 wall mounting parts. The condition is fairly good considering the age, slight wear is visible. The metal is quite thin which discourage heavy load. The size is 62 cm L / 15.5 cm W/ 62 cm H.